Kolkata is renowned for Kali (Goddess Durga) worship and Durga Puja. 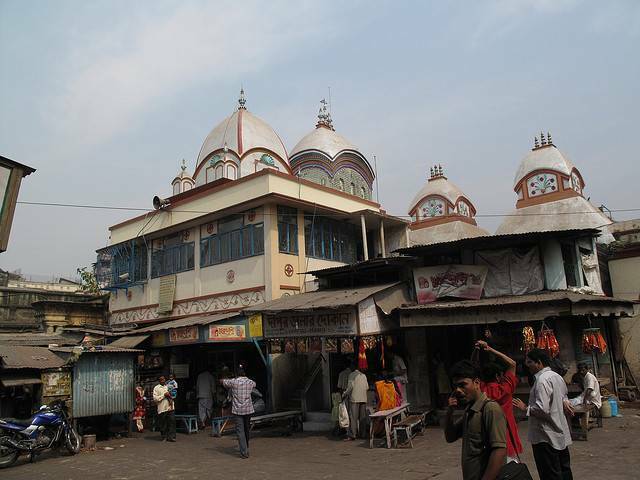 The Kalighat Kali Temple is one among 51 Shakthi Peethams. Situated on the shores of old course of River Hooghly, the temple is a must visit place in Kolkata. The temple is thronged daily by hoard of pilgrims from all over West Bengal. Originally the temple was a very small one which was built by 15th century King named Manasingh. The idol of the Kali in main shrine has three eyes and four hands all made up of gold. Within the Kali temple, there is a rectangular altar called Sosthi Tala, where three goddesses are worshipped in the form of stone. There is a tank on the south-eat side of the temple. Devotees believe that a dip in this tank will gift a boon of a child. Pilgrims believe the water in this tank is sacred as that of River Ganges.